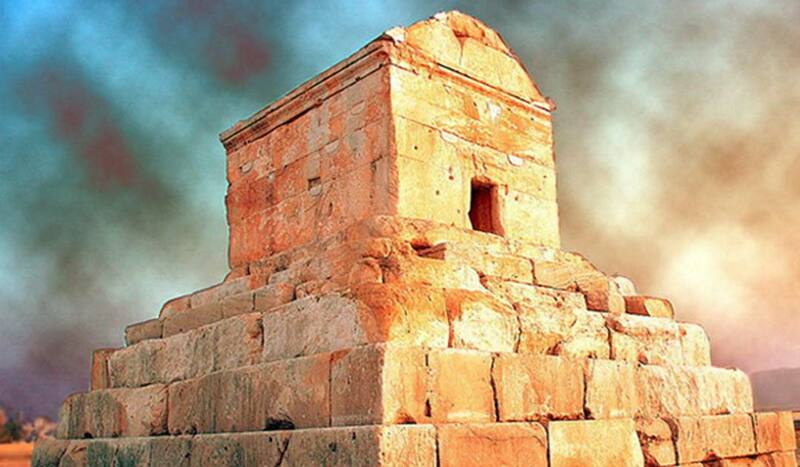 Was the Magnificent Monumental Tomb of Pasargadae Really Built for Cyrus the Great? The tomb of Cyrus the Great is the name given to a monument located in the ancient Persian city of Pasargadae. This city was founded by Cyrus, and served as the capital of the Achaemenid Empire until his successor, Cambyses II, moved it to Susa. The structure is found not far from the palaces of Pasargadae. This monument has been hailed as an exceptional example of the first phase of royal Achaemenid art and architecture. The Tomb of Cyrus the Great consists of two sections – a lower part and an upper part. The lower part is in the form of a stepped platform, which is reminiscent of Mesopotamian ziggurats. Some researchers have suggested that the monuments of Urartu served as models for this part of the tomb. Yet others have pointed to structures from Lydia and Phrygia as the inspiration behind the stepped platform. It may be worth pointing out that Urartu, Lydia, and Phrygia were areas conquered by Cyrus. As for the upper part of the tomb, it may be further divided into two sections – the tomb chamber itself, and a room above it, of which the exact function remains unknown. Pasargadae gradually lost its importance after the passing of Cyrus and it never regained its former glory. Nonetheless, Pasargadae and the tomb of Cyrus are mentioned in ancient sources thanks to another empire builder, Alexander the Great. When the Macedonian king had conquered the Persian Empire, one of the places he went to visit was the city of Pasargadae. Alexander admired Cyrus greatly, and intended to pay his respects to the dead king. Having done so, he ordered the tomb to be repaired, as it had deteriorated. An account of Alexander’s visit was written by one of the king’s companions, Aristobulus. This, however, has been lost, and today only quotations about the event survive in the works of other historians. This epitaph has also been mentioned by other ancient authors, such as Plutarch and Strabo, though with minor variations. Neither has this inscription been seen anywhere on the remaining structures in the vicinity of the tomb, nor has the reported gold sarcophagus of the king been found. Around the middle of the 7th century AD, the Sassanian Empire, which had ruled Persia since the 3rd century AD, came to an end following the Islamic conquest of the region. It has been stated that the victorious Arabs had planned to destroy the tomb of Cyrus as they entered Iran. According to tradition, the locals succeeded in dissuading the Arabs from doing so by telling them that the tomb actually belonged to the mother of the Biblical King Solomon. As a result of this ruse, the structure was saved, and the monument became known as Qabr e Madar e Soleiman (which means ‘Grave / Tomb of Solomon’s Mother’). In time, the location of Cyrus’ tomb was lost. During the late 1920s, a German archaeologist by the name of Ernst Herzfeld visited Pasargadae and began to map and photograph the ancient city. Based on the writings of ancient authors, Herzfeld determined that the so-called ‘Grave / Tomb of Solomon’s Mother’ was in fact the tomb of Cyrus. When Herzfeld made this ‘discovery’ the tomb was empty and it is assumed that it has been looted at some point of time in the past. Without much supporting evidence, it is indeed difficult to say for certain that the monument is indeed the tomb of the famous Persian monarch. Nevertheless, this designation has stuck. Many years ago I started to search the morphology and rehythmology of the Tomb of Cyrus the Great, when I discovered some strange and imported details which never have been mentioned before. In 1985, I had the opportunity to present it in S.O.A.S., receiving the congratulations of Professor David Stronach about my discovery. It would be my great pleasure to see it published in Ancient Origins. I am professor of Bioclimatic Architecture, also specialized in constructions for handicapped children, reconstruction and repairing of historical and ancient buildings.